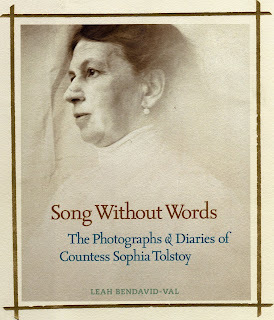 Song Without Words, The Photograhs and Diaries of Countess Sophia Tolstoy, by Leah Bendavid-Val, is a fascinating book published by National Geographic, 2007. I loved it so much I got a copy for my little manor library, several years ago. This week, I pulled it off the shelf for a fresh browse. Sophia was the wife of the great Russian writer Leo Tolstoy. 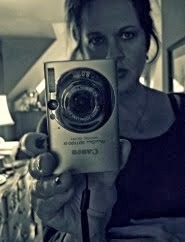 An extraordinary artist, in her own right, she was an innovative photographer in a day when photography was all quite new. Between 1885 and 1910, she made over a thousand photographs representing her world. Her diary is a detailed journal of her intimate reflections on life, art, politics, and her rocky marriage to a literary giant. If you like history, art, photography or all things Russian, like I do, you will not be disappointed. The Countess takes you straight back to life in pre-revolutionary Russia, with her fascinating intimate journals and photos. 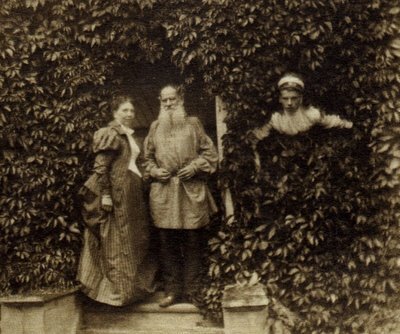 Photo below: Sophia and Lev Tolstoy, with their son Mikhail, on the porch at Yasnaya Polyana, 1898. 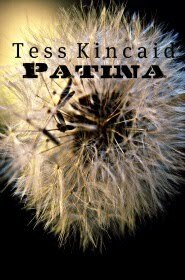 It sounds like a book that's up my alley -- have to check it out. A penny? You definitely won't regret it! Children of a certain age were often dressed as soldiers or sailors.... but not so often hidden in the foliage. Were they trying to say something? She must have drawn increasing comfort from her own artistic endeavours as her husband's increasing dedication to Christian anarchism disrupted increasingly the comforts of hearth and home! I've just managed three 'increasings' in that sentence. C- to this ex-English teacher! Isn't it interesting how we all have our favourite books on the shelf, books which we turn to time and time again. Yours sounds a good read. Is dude hiding in the ivy, or is that a ghost? Sophia was a very strong woman and I admire her for dealing with what she did. Love the photo of Mikhail in the ivy! And I love the ivy covered house. Yes, I was wondering about "The Last Station" and how true it was to life. I really must search this out - you know mt love for old photographs. 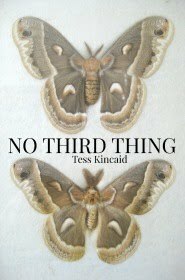 Thanks for the recommendation Tess. I think it would be interesting to read about her life from her POV. In The Last Station, she got short shrift. or maybe I should say from seeing the movie I felt her husband gave her short shrift at the end of his life. I can only say ditto of The Collins Clan. Russians have such a difficult climate and lives of constant challenge from nature and each other! I think it shows in their recent political experiments, attempting to change what has been their lives for all of their past. One can only hope they keep looking outward and eventually find some permanent answers. Such windows as her photos are so important to them and to us. I love reading about her -- about them. 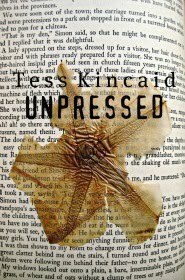 Thanks for the mini-review of what sounds like a very interesting book!